Low interest rates have made life a lot easier for many borrowers struggling to make monthly payments. But for retirees, who have to live off their portfolios, low rates have caused huge problems. A May survey from Gallup and Wells Fargo (WFC) confirmed what many people already know all too well: Low interest rates are destroying people's confidence about ever being able to retire. Fully one-third of those surveyed said that they expect low rates will compel them to work longer and delay their retirement, while 45% of current workers say they think low rates will make it a lot more likely that they'll outlive their money after they retire. In particular, the survey points to deteriorating confidence among retirees. Last year, retirees were much more optimistic about their futures. Yet with core inflation outpacing rates on bank certificates of deposit by more than a factor of three in many cases, those living on fixed incomes are feeling the pinch -- and will continue to do so as higher prices reduce the purchasing power of their nest eggs. To fight low rates, some retirees have taken drastic measures to fill their income gaps. Almost 20% of retirees have moved their money into riskier investments they probably wouldn't have bought if rates weren't so low. For instance, some retirees have turned to dividend-paying stocks, many of which pay out more income than bank CDs and other income-generating investments. No single investment, however, is a perfect solution for income shortfalls. The best answer for most retirees involves using a combination of investments to generate income. Dividend-paying stocks may play a role in your portfolio, but putting all your money into stocks involves far more risk than the vast majority of retirees can afford to take. Instead, consider other types of income-producing investments. Municipal bonds earn interest that isn't subject to federal income tax, but they also have higher yields than Treasury bonds of the same maturity -- even though you have to pay federal tax on Treasury income. Meanwhile, managed payout funds make fixed payments to their shareholders over time, and even if the income the fund portfolio generates isn't enough to cover a payment, the fund can go in and essentially return a portion of your investment back to you to cover your cash flow needs. These low interest rates won't last forever. But while they do, make sure to do what you have to in order to ensure you have the income you need. Motley Fool contributor Dan Caplinger is trying to put low rates on his side. You can follow him on Twitter here. He doesn't own shares of the companies mentioned. 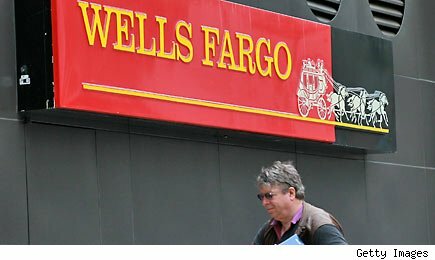 The Motley Fool owns shares of Wells Fargo. Motley Fool newsletter services have recommended buying shares of Wells Fargo.